I like how the property contact with me about our arrivals. Dr. Can was very helpful man, he gave us a lot of advices about how we spent our time in Fethiye and area around. 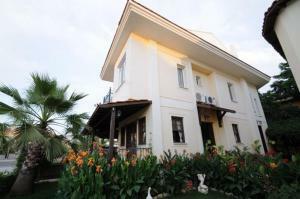 Owner was very kind and went out of his way to recommend the best sites in Fethiye. Beds were very comfortable and the suite was furnished with everything you would need, including a drying rack. Friendly staff they helped us a lot. Super clean place. The hotel was a good place to stay with family or friends. The house owner is a very kind man. He helped us to book the paragliding with a good price. I will definitely recommend this place to friends. And I love the swimming pool! The place was clean and close to the beach. The house was well maintained. Very helpful staff, helped us a lot in terms of transport and travel destinations. The nice host even took us to the Otogar when we left. 2min walk from beach, good view and quite neighbourhood. Everything is perfect! Very Kind family,they take care of every customer.they really try their best to help people.my tour in Fethiye was arranged by the owner nicely ,made me love Fethiye more . Good room with very big space including kitchen , living room and balcony . this place is very special because of people who run it. the hospitality is up and beyond the exceptions. the price/value ratio is absolute plus. The hospitality of the owner / staff, & atmosphere, The property is simple, but nice.and feels like you are at home. Lock in a great price for Caretta Apart – rated 9.4 by recent guests! One of our best sellers in Fethiye! 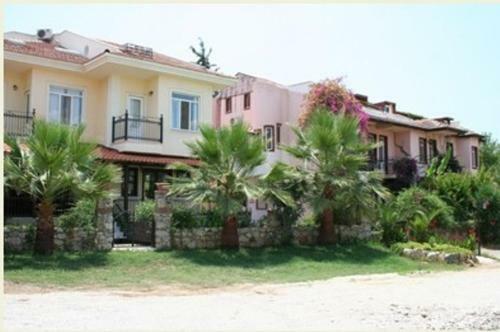 Only a 5-minute walk from Calis Beach, Caretta Apart offers spacious apartments with air conditioning, free Wi-Fi and a private kitchen. 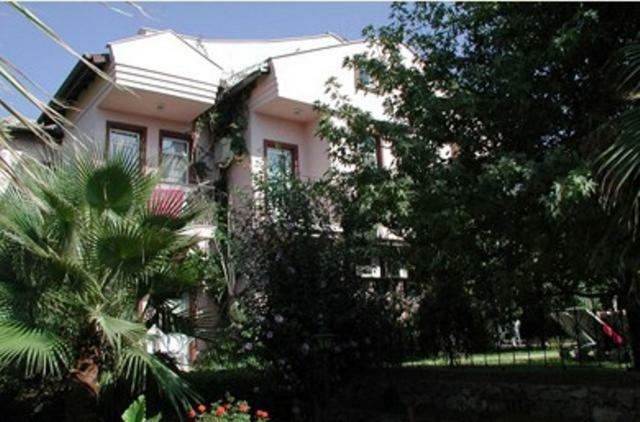 The property has an outdoor pool surrounded by a small lush garden. The bright apartments of Caretta include a living room with sofas and a dining area. Each has a flat-screen TV. The kitchens are equipped with a stove, refrigerator, electric kettle and kitchenware. There is also a balcony in the apartments. Each morning Caretta Apart serves a breakfast plate prepared with local products. The bar offers a variety of alcoholic and nonalcoholic drinks throughout the day. Fethiye city center is 3.1 mi from the property. There are many bars, restaurants, shops and discos within walking distance. Oludeniz Beach is 9.9 mi away. Dalaman Airport is within 31 mi. 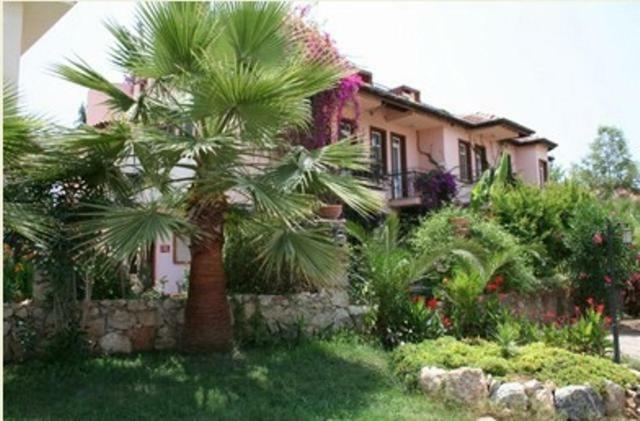 뀐 Located in the top-rated area in Fethiye, this property has an excellent location score of 9.2! 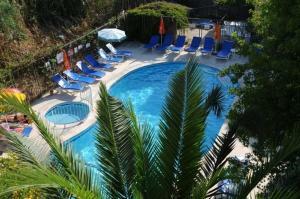 When would you like to stay at Caretta Apart? This spacious apartment includes a bedroom, living room, kitchen and a bathroom. It also offers a private balcony. This spacious apartment includes 2 bedrooms, living room, kitchen and a bathroom. It also offers a private balcony. House Rules Caretta Apart takes special requests – add in the next step! Caretta Apart accepts these cards and reserves the right to temporarily hold an amount prior to arrival. The toilet smell some times goes bad. The host here is warm hearted and he will help you order the paraglider. Also he will give you some suggestion about things to do here. Dr. John is very friendly and helps us make the plan in the town. This is an experience that will make me unforgettable. The room was very clean and spacious, and the decor was brand new. Dr. CAR is very warm and lovely. Book a paragliding trip for us and draw a city map for us. I will never forget this journey in Fethiye and never forget the lovely Dr.CAR. Welcome to have time to come to China. We arrived late and no water provided in the room and no place nearby to buy it. Uncle Can and his family ,they are hospitality. They booked paragliding for us ,recommended us to the background beach.Then when we were living they send us to Fethiye Tourism.Fethiye is a beautiful town with Aegean Sea , when you are flying in the sky ,you will find that I am right. The host is very nice. He help us to buy the bus ticket online while the payment system didnot work.He drived to bus station for our ticket. Doing paragliding depends so much on the weather. Althrough it is not that good in winter times, you could have a different view of the sea. When it comes to the dislikes to the hotel, I would like to say that everything was really good except that there was a power failure during one night, which was really not a good experience especially in cold winter times. The owner of this property is an old man, who is just like a grand father. He is really nice to provide all kinds of information to us and recommend us plenty of places to explore in Feithye and all the way along to Antalya. The day when we arrived at the hotel, it was cloudy and it was late at about 10 o'clock in the evening. The next day, it rained like cats and dogs. Even though the hotel does not provied anything to eat to guests, he prepared a lunch for our friends, seeing it was really a bad whether that day. At the meantime, he helped us to rent a car and a driver to Antalya, passing the road 400, from which we could have a magnificant view of the moutains and sea, We came to Feithye to do paragliding. It is also possible to book a paragliding through the owner with a cheaper price, because the he has some acquitance in the paragliding company. When it comes to the size of the house, it was really a big house which was really suitable for a family trip. With the kitchen, you can cook by yourself when you get tired of the local foods. Super nice owner, helped well arrange city tour in Fethiye and other tour schedule around the district, also helped book paragliding with discount. Spacious and well facilitated room with nice garden downstairs. supermarket just across the street. Not in the center downtown area but very close to beach and sea. Feel like home. Dr Can - the owner made this trip wonderful and amazing . His hospitality and kindness was second to none . He drove us around the town showed us the local attractions . Uncle John, I'm sorry that I didn't say goodbye to you when we left. We regret that we didn't take a photo with you as a souvenir. We live in your home very comfortable and your home is very beautiful. I hope you can visit China. If you come to China, you can contact me. Uncle Jean was the best host ever. 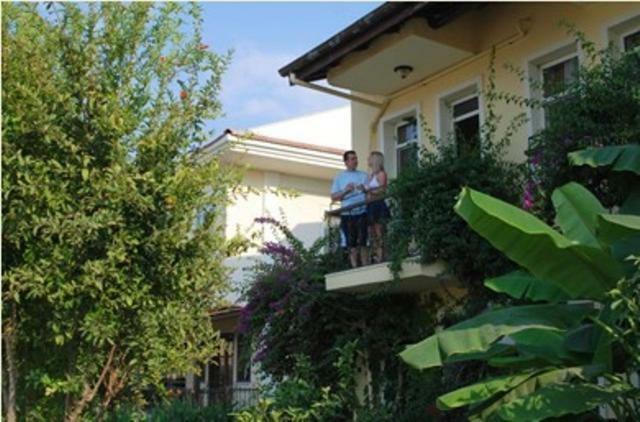 He knew everything on fethiye and helped us to look around this region very conveniently. And the restaurants run by his family offered very delicious foods(especially Casserole was the best in Turkey). 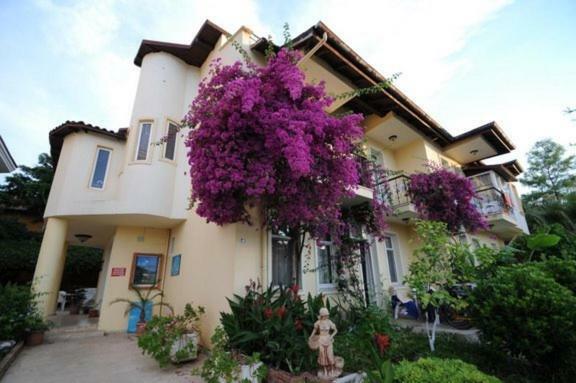 Bus stop to go to Oludeniz is just 2 minutes walk away. Room was comfy. Everything was perfect. I highly recommend this hotel.